I am home now from a 7-day road-trip to Seattle. I spent the first night in Mendocino, a few hours north of San Francisco. It rained most of the way up, and most of the night. 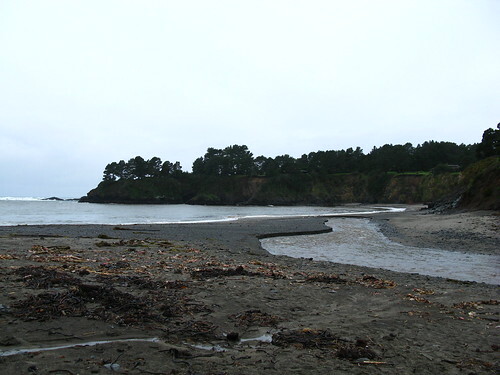 But the weather broke long enough for me to enjoy the beach at Van Damme State Park, where I camped for the night. I don't know if all this kelp washed up from the tsunami or recent, ongoing storms but I don't think I've ever seen quite this much kelp on any beach before. 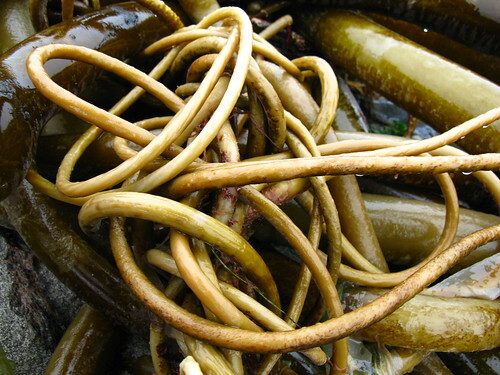 There's obviously a few different kinds of kelp present. 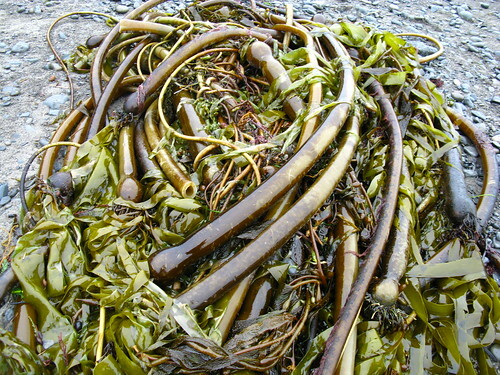 I only know about the giant brown kelps that belong to the genus Macrocystis, which can be identified by the presence of gas floats at the base of the blades. It's hard to identify much fine anatomical structures in these tangled masses. 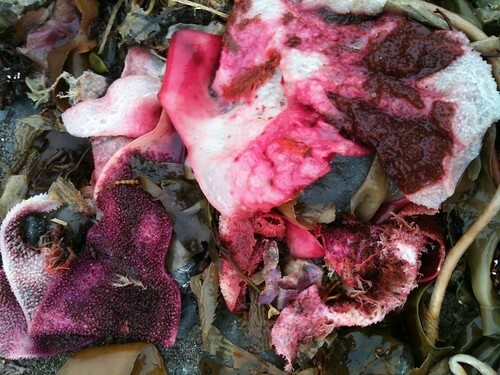 I saw a lot of this gory pink algae too. 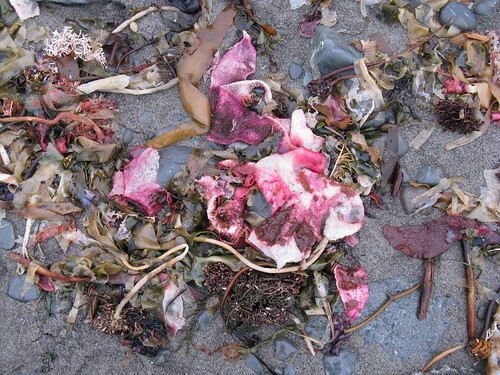 It looked like so much rendered flesh strewn about the beach. 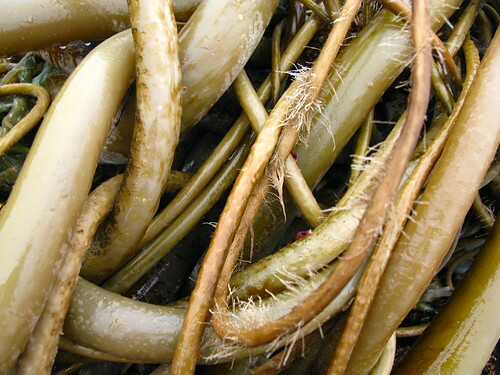 Forests of giant kelp off the coast of California help to absorb wave energy and inhibit beach erosion. 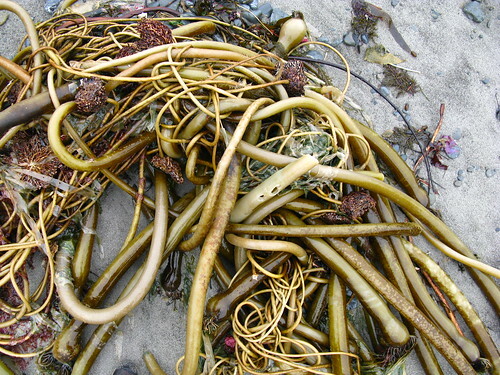 That works when the kelp remains anchored to the rocks on the ocean floor. 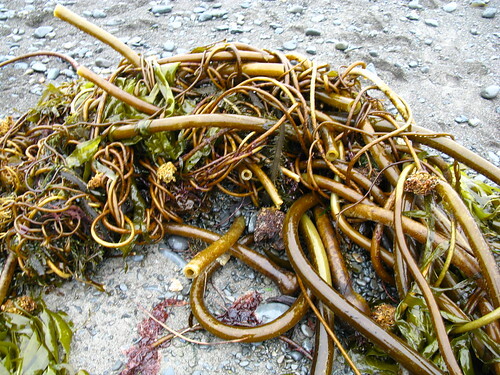 Strong waves or nibbling sea animals like urchins often separate the kelp from the rocks which is how it ends up on the beach. 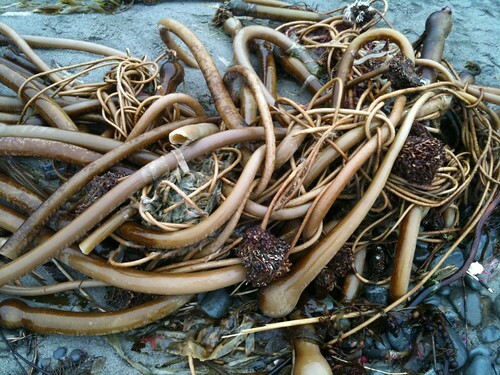 In this case a lot of the kelp washed up on the beach still attached to the anchor rocks! 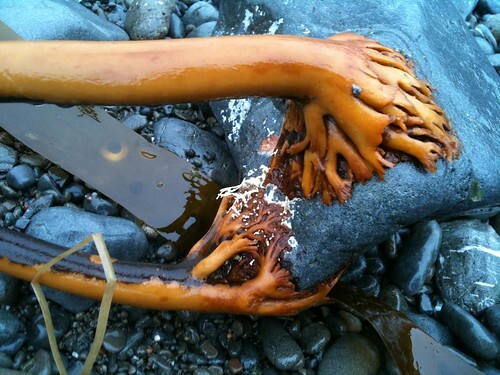 Probably a result of the tsunami. I know Noyo harbor in Fort Bragg got hit pretty hard. I think the pink stuff is commonly known as "Turkish Towel."
. . . Lisa and Robb . . .: Thank you for that tip! 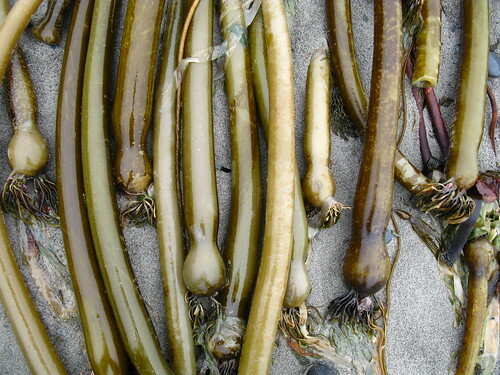 queerbychoice: I've heard things like the warmer temps down there have really upped the urchin population who chew away the holdfasts and cause the kelp to wash up on the beach. Kaveh Maguire: I know Crescent City's harbor took another hit, but I hadn't heard about Fort Bragg too. Geez! The news videos of the waves washing in to Santa Cruz were really scary. Love these pictures and the ones from your two Mendocino posts...hope you were doing something fun in Seattle! Did you stop in Portland?